Having a hard time choosing between nesting chairs and stacking chairs? With Nesting Stacking Chairs from Balt, you don't have to. 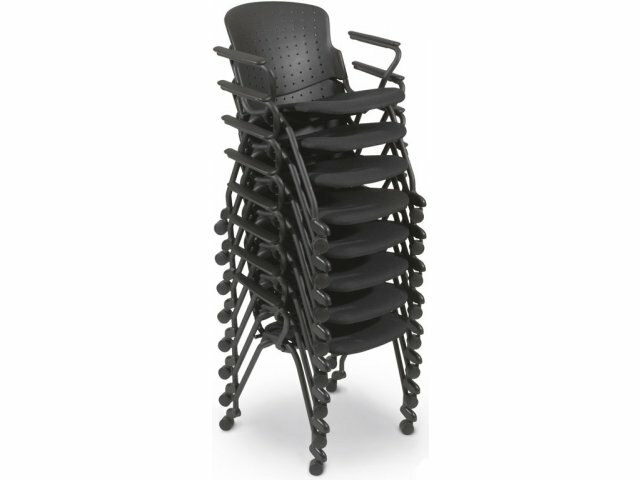 No matter what your transport and storage needs are, these stack chairs will fit the bill. When you need to set up for a conference or meeting on short notice, you won't have to compromise on efficiency or style. 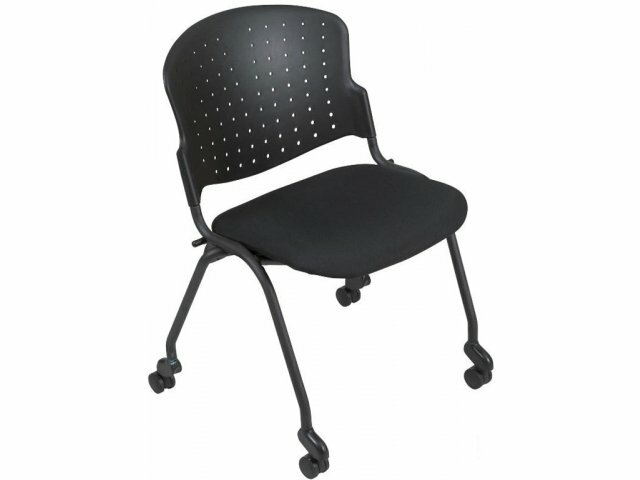 The sleek modern design, including a black steel frame, comfy padded seat and vented black back, will fit perfectly in a professional setting. 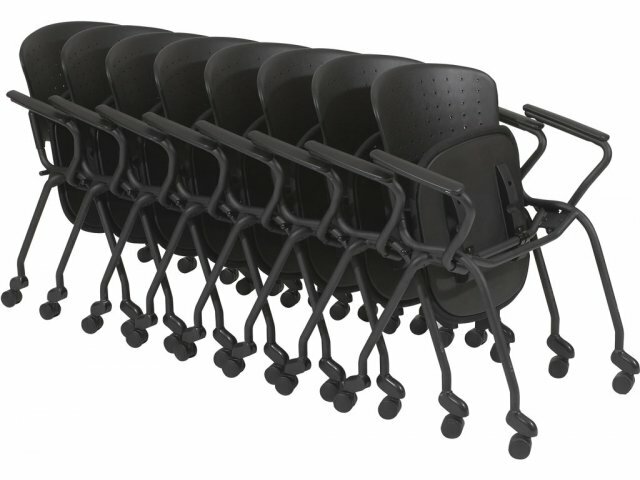 These multipurpose stacking chairs can be used just about anywhere from conference rooms, to waiting rooms, to training rooms and beyond. All you have to do is roll them into place and fold the nested seat down, or take one from the stack. Get the best of both worlds with Balt Nesting Stacking Chairs. Space Saver: Stack or nest up to 8 chairs for easy transport and efficient storage. Healthy Airflow: Perforated back provides ventilation during extended periods of sitting. 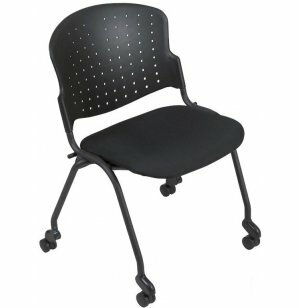 Comfortable: The padded seat provides an enjoyable sitting experience. 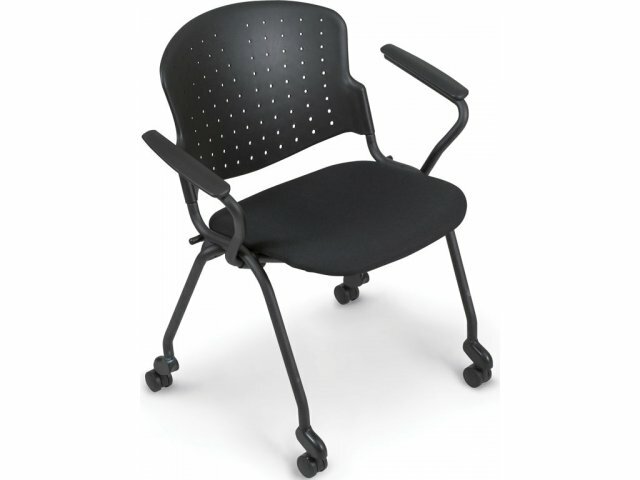 Durable Materials: Supported by a black powder-coated steel frame. Smooth Rolling: Stands on 2" dual-wheel casters.